Savvy Offroad – Corner Guards, Bumpers, Rock Sliders, Tub Rails and Control Arms for Jeep JK, TJ and LJ. Savvy Offroad – Known for building products for the Jeep TJ, LJ and JK out of heavy duty light weight aircraft grade aluminum. Using 6061 aircraft grade aluminum significantly reduces your Jeep weight when compared to steel while retaining the same, if not sometime better protection. Savvy Offroad produces many Jeep Body Armor products, such as Corner Guards, Bumpers, Rock Sliders and Tub Rails. Savvy aluminum Bumpers are the lightest and allow more cleareance than any other Jeep Bumper. These Bumpers are also available for the Jeep JK. Not only do they protect the Jeep Body, but they also build a light-weight under armor and Gas tank skid to help protect your valuable Jeep parts underneath your Jeep from damage. Savvy Offroad produces their own all aluminum control arms for the Jeep TJ and LJ, that include Currie Johnny Joints. The control arms are double adjustable, so there is no need to remove the control arms to adjust your pinion angle. Savvy also manufactures the only mid arm suspension system for the Jeep TJ and LJ that maximizes the true usable available travel. The Suspension kits will truely give you all the flex your Jeep can handle. Now available for the NP 231 and the NP 241 transfer cases, Transfer case shifter kits. Eliminate the problem of broken stock linkage or linkage that does not work after lifting your Jeep. Savvy provides quality parts that replace your stock linkage and allow for up to a 4″ lift with parts that are better than OEM. 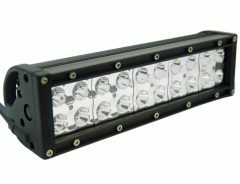 Savvy Off Road LED Tail lights replacement kit for Jeep Wrangler TJ and YJ with Aluminum housings. DIrect fit for Jeep TJ, no drilling. SAE/DOT Compliant. Billet 6061-T6 milled makes these among the strongest led tail light housings on the market. Savvy Off Road 1″ Motor Mount Lift TJ/LJ – This kit is 6061 aluminum motor mount spacers. Comes with aluminum spacers, bolt extensions, washers and longer 10mm bolts. You need to remove your OEM motor mounts to cut some of the threads off so the bolt extension sits flush. Savvy Aluminum Body Lift Kit for Jeep TJ and LJ comes with all the parts and hardware needed to raise your Jeep body 1.25 inches. Aluminum Tailgate Skin for 03-06 Jeep TJ and LJ by Savvy Off Road protects your Jeep Tailgate from damage. It is made from 6061-T6 aircraft grade aluminum and comes with all hardware necessary for installation. Tailgate Valance for Jeep Wrangler TJ and LJ by Savvy Off Road is made from 6061-T6 aircraft grade Aluminum and comes with all the necessary hardware for installing this Jeep Body Armor. Savvy Aluminum Tailgate Skin for Jeep Wrangler TJ (97-02) with no vent provides body armor to your Jeep tailgate. This Tailgate Skin comes with everything necessary to install, and is made from 6061 T6 aircraft grade Aluminum. Protect and optimize your Jeep TJ. Savvy Off Road Front Bumper for Jeep Wrangler TJ/LJ 1997-2006 Innovative aluminum bumper designed for the Jeep Wrangler 1997-2006 TJ/LJ. The bumper is a short wing design with optional accessories. Savvy Off Road Rear Bumper is an innovative aluminum bumper designed for the Jeep Wrangler 1997-2006 TJ/LJ. Savvy Aluminum Steering Box Protection – Fits all Jeep Wrangler 1997 -2006 TJ/LJ. 6061-T6 aluminum must drill two holes in your bumper and one in the frame horn. Protects the steering box cap from punctures.